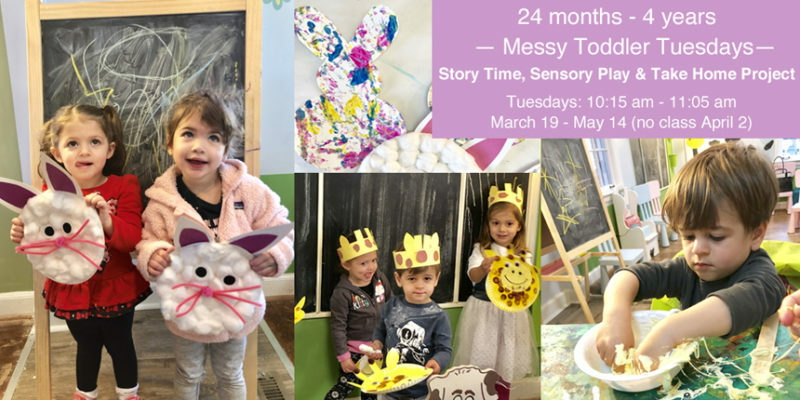 In this multi-sensory experience, your toddler will learn to develop fine motor skills by painting, drawing, squeezing glue, stringing beads, painting on an easel, cutting, collaging, stamping, and even using clay. Each class includes a movement activity, sensory play or a take home craft project, and a story. Our 8-week session is designed especially for children ages 24 months – 4 years (with guardian) to explore a variety of age-appropriate activities in a safe, fun and creative environment. 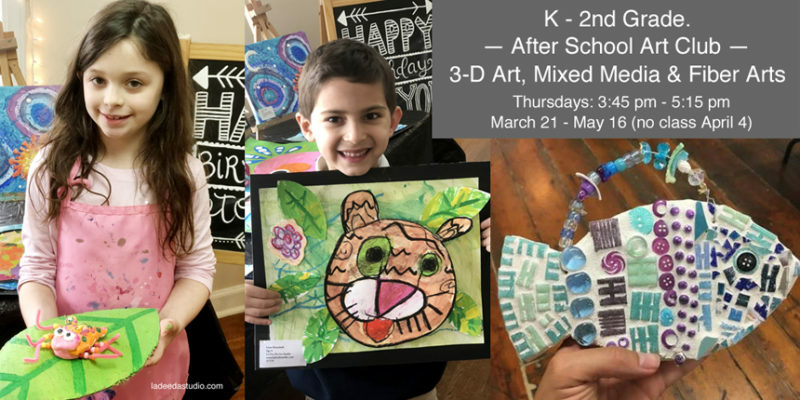 Children will be introduced to the elements of art by learning shapes, color recognition, color mixing and texture while experimenting with new and engaging materials.